We don’t think there was ever a time where we came out with almost an entirely new wheel lineup….. well, not since we started business 8 years ago and at that time we only had 2 wheel models. All our wheels have been updated to 23mm wide rims as we truly believe in the benefits of a wider rim for much better wheel performance and road feel. We spent more than a year perfecting the molds for our wheels and are finally happy to present all our new wheels. It was a relatively large investment in all new alloy extrusion rim molds, carbon forged molds, and even hybrid carbon/ aluminium rim molds. We rode a steep learning curve but hopefully it is one that will keep the brand on par or ahead of some of the major brands. It is unheard of (not to our knowledge anyway) that a self funded new brand takes such a huge leap in developing not one, not two but four different lines of wheelsets with exclusive molds for all the rims. We hope it portends of great things to come, and that we’ll be around for quite awhile. Only time will tell; but whatever the outcome, we are putting our foot forward and hope that everyone comes for the ride. As you can see from the above illustration, each rim is designed with different characteristics in mind. The S2.0 will always be our lightweight wheel, hence weight was a priority, and frankly at that depth we’re not sure what ‘aero’ qualities can be produced with a rounded shape. The S3.0 starts the ball rolling for the FOILX shaped rims, but the head is not as blunt as the others as weight was also a consideration. Creating a rounded head would have increased the rim weight by an additional 50-60g, which was going to put the rims above our target weight. 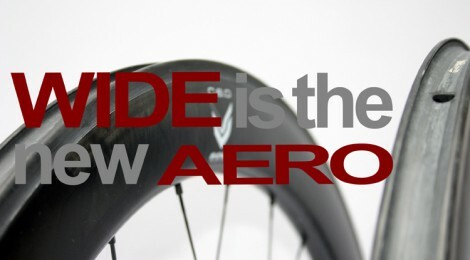 The S4.0s are much the same rim as the S3.0s but are deeper and more aerodynamic. They are the alloy rims where weight wasn’t the primary concern, and aerodynamics were paramount. You will notice the same theme for the other carbon rims, but will notice that the C5.0T does not share the FOILX shape. That’s again a weight concern. Putting the FOILX shape onto the C5.0T would have made it uncompetitive weight-wise; it now stands as one of the lightest out of the box carbon tubular 50mm wheelsets available.